Virtual reality has reached both the public and the private sectors of various industries. Applications of VR can be found in fields as diverse as marketing, education, the military, robotics, aeronautics, medicine, and many others. 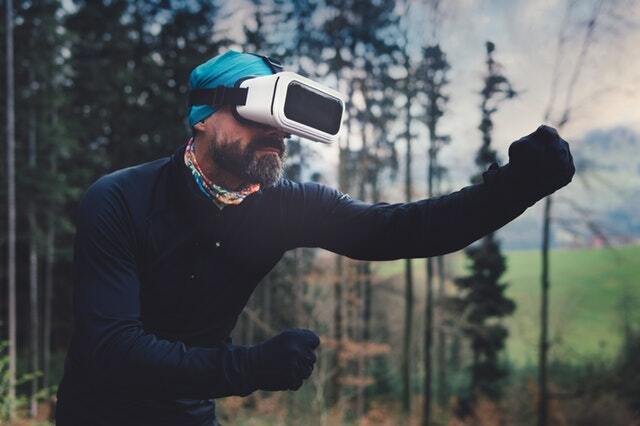 There are countless possibilities that VR can help explore including surgery training, rehabilitation, flight simulation, and creating virtual environments for military training. It has changed the way we live and work. VR has expanded our horizons and challenged the limitations of our imaginations. The entertainment industry, most especially, has benefited from VR and it has had a tremendous impact on how people spend their free time nowadays. How does it impact the entertainment industry? Escape games. VR escape games are the newest trend to pop up in the last few years. Escape games utilise VR to create virtual fantastical worlds, allowing them to exist in another plane. These games let people experience things they can never experience in real life. They can also assume another identity in the game, attain supernatural powers and many other things not possible in the real world. What’s more, VR escape games allow community-building opportunities through its multiplayer function like the Omescape VR games. Theme parks. VR is slowly transforming waterslides, roller coasters and other attractions. There are actual full-scale virtual reality theme parks in existence today, and they utilise VR and AR technology to create new realities and new experiences for guests. Video games. VR is most commonly used in gaming. Various game developers are incorporating VR technology to create new games. Today, the quality and quantity of VR games are improving and enlarging. The technological advancement in VR has since included room-scale motion and controllers which make VR games more immersive, fun and enjoyable than ever before. It makes people feel that they are indeed inside the game, taking up new identities and being a whole new other person. Fine art galleries. Fine art has seen the influence of VR in today’s virtual art galleries and museums. VR allowed for the creation of virtual art worlds. It also allowed other artists to use VR as their medium of creation and self-expression. Various artists are utilising 3D illustration tools and 3D sculpting to create and make their art come alive. Music festivals and concerts. VR has allowed people to attend music festivals and concerts even without being physically present at the events. Thus, VR has now made it possible for people to experience any event they want anytime, anywhere. Cinemas. Films are increasingly becoming VR technology-oriented. Films are now produced for VR to allow the audience to screen movies in a 360-degree environment. VR applications can also be seen in 3D cinema. It is usedfor sporting events, fine art, music videos and short films. These are the sectors of the entertainment industry that have been greatly influenced by the entrance of VR technology. There will undoubtedly be more changes to look forward to in the coming future.